An informed vehicle owner will usually be able to save the maximum amount of money over the lifetime of their vehicle. That is exactly why we here at Parks Fiat of Wesley Chapel wanted to be absolutely sure that you know all about these great fuel economy tips which can save you money and help you decrease your visits to the pump. ?The first tip is to maintain your speed as often as possible. 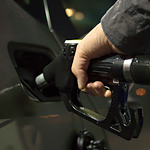 Frequent accelerating and stopping can lead to poor gas mileage over time. Also, it is recommended that your car always be up to date with its service schedule. This will ensure that it is running at maximum efficiency and getting the most out of the fuel. If you are in the market for a more fuel-efficient vehicle or are looking for a top-quality service team, then feel free to give us a call at Parks Fiat of Wesley Chapel to schedule an appointment today!